Notes: Publishing "Temples of Thailand"
Over the past few months I've been working hard to finish a collection of photographic images on Buddhism and the vast number of temples that make Thailand a mosaic of Buddhist culture. 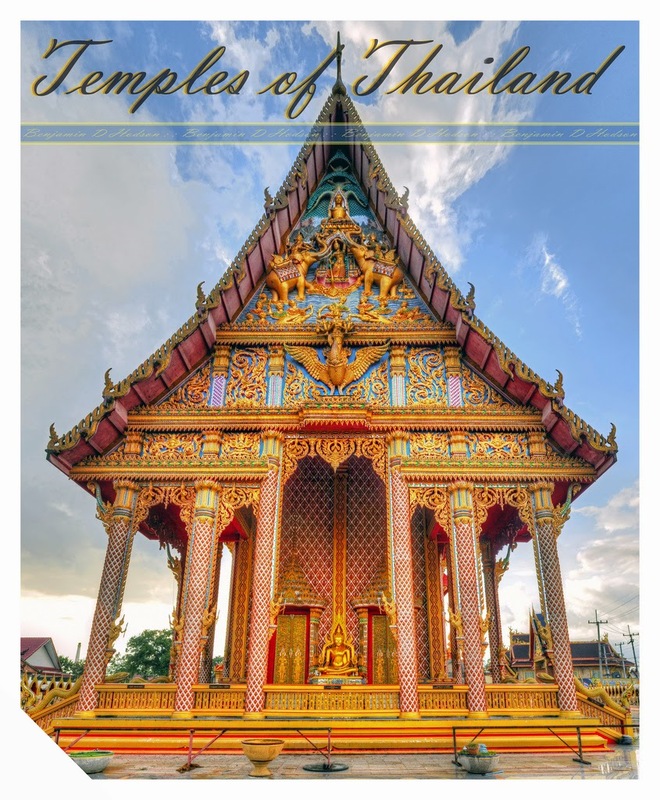 The book is called, "Temples Of Thailand" and together with content on temple shrines "The Circle Series", I find myself ready to publish my photo-book project. It hasn't been until recently that I've started to approach editors at various well-known art book publishing houses, both in the UK and US, including several university offices. The response that I have received has been extremely positive. These have lead to a number of formal correspondences, with help and advice. I would like to share some of the knowledge that has been passed on. The con-censors seems to be that the proposal is valid, and the body of work is fitting enough for a full publication. I get the feeling that it's currently at a tipping point around the boardroom table - from a professional stand-point. The areas of most interest have been the depth of visual content, print ability and cohesiveness, with respects to visual narrative. These seem to be key points. The work in essence has been completed to a level and standard that stands on its own. It is simply past the stage of an idea. Because of this, I was able to attain a quick and professional response from key editorial staff. The downside: It seems that the proposal has several issues. Logistically, the publishing houses that I have contacted only have a few connections in Asia. Although, in essences, it's an art publication. It suits more the Asian demographic, under religious context. Furthermore, most of the titles are now filtered by means of agent referrals, conference affiliates and those publishing academic portfolios, with self publishing and self funding projects swamping the market. This is not all bad news. Amazon and other companies such as CreateSpace offer resources for self published work. On several occasions I have been informed that what is proposed is contractible, and it is just a matter of finding the right publishing house to take on the project. It is, again, the uniqueness and depth of content which has sparked interest. I've also looked into project funding for self publication, with the Australian Arts Council. Nevertheless, funding is limited to those projects outside of performance arts. Arts Council grants are proposed under differing criteria throughout the year, and often do not fit individual projects. Therefore, one must wait for a more flexible grant that might fit a proposal. After all my current communications, I get the feeling that America is the place to be for art. There is a pathway in place that helps artists both promote and self fund work through numerous resources, from crowd sourcing to government grants. Where no such avenue exists in Australia. I have not yet ventured into the politics of the United Kingdom, but this might be an option in the future. I will continue to work with contacts and publishers I have contacted to find funding. In the meantime, if you have any questions on what is required to finance a current book project, what criteria meets best with publishers requirements or have interest in my work, please feel free to contact me.